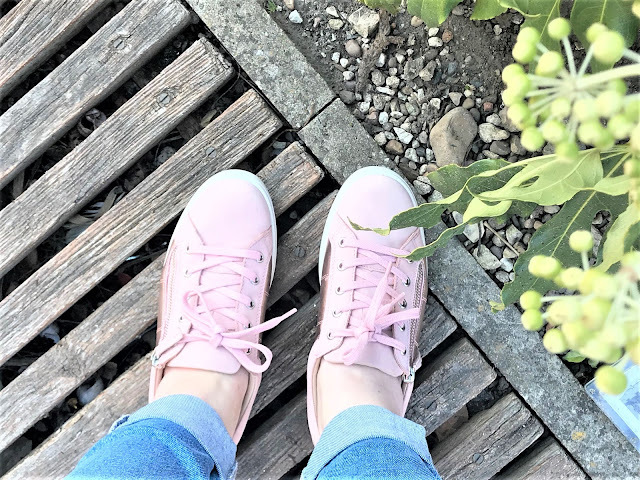 I often have trouble finding really comfortable shoes as I have had three operations on my feet, and so I do struggle to find footwear that I can wear all day and still feel comfortable in. 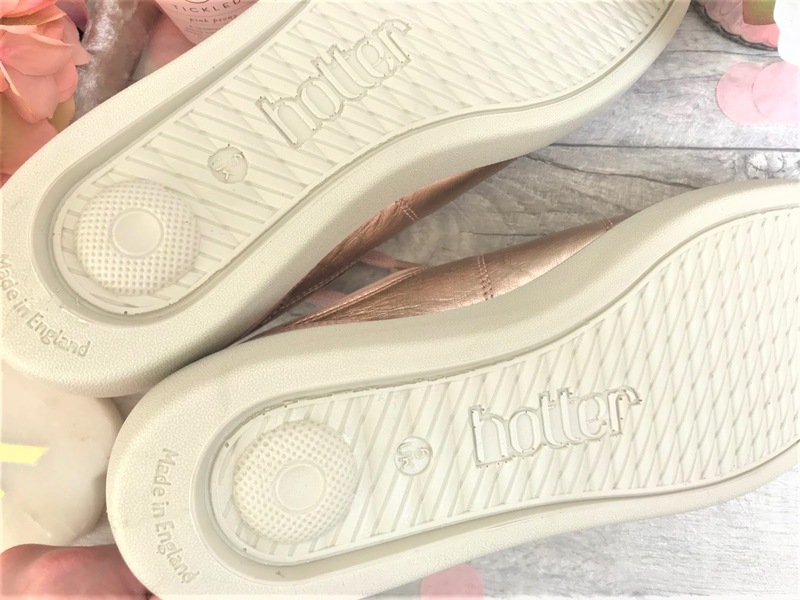 When Hotter Shoes recently got in touch with a couple of pairs of their new Spring collection, I fell in love with the Chase shoes. 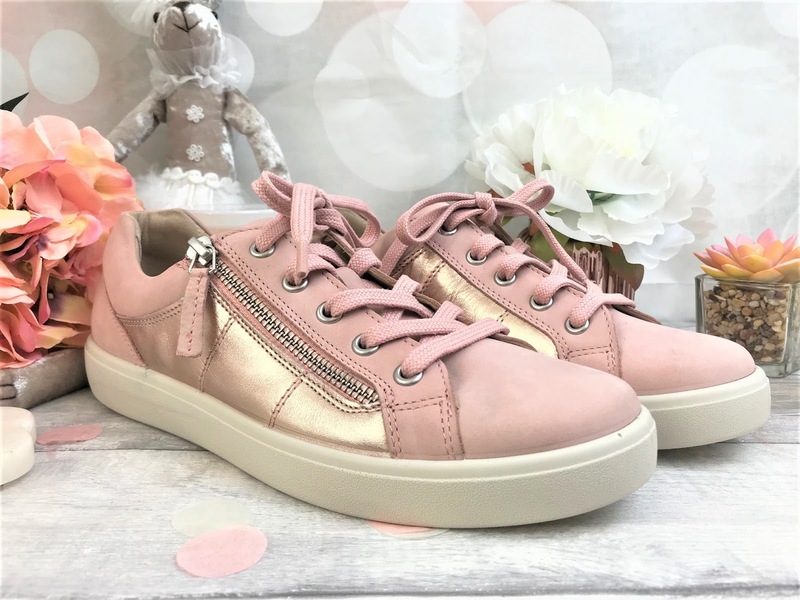 The Chase shoes come in five different colour options - Dark Stone, Nickel Metallic, Pebble Grey & Floral, White & Bright Silver and the ones I chose, Powder Pink & Rose Gold. There are so many lovely options available, and I could quite easily have chosen any of the colours, as they are so versatile and easy to incorporate into any wardrobe. They have a classic trainer feel to them, but a much smarter option than my beloved Adidas Gazelles. The Chase has been ergonomically designed to cradle your foot and the soft touch leather feels like butter, it is so velvety soft. I opted for the Powder Pink & Rose Gold as they are a really nice neutral but with a pop of colour and go with most neutral colours, and as I wear a lot of pastels and denim, I thought these a gorgeous option. 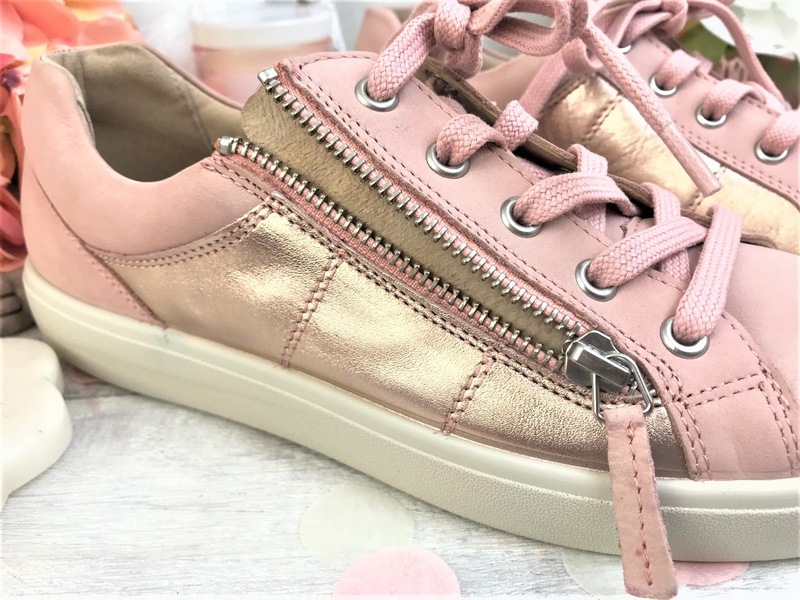 The shoes have laces, alongside a zip feature, but this is not just a decoration, the zip fully opens and closes which makes it super easy to put on and take the shoes off. You don't have to spend ages lacing and unlacing the shoes, simply pull that zip up or down and off you go. The sole of the shoe is very hard-wearing and has a little chunkiness to it, and it feels like you're walking on air. 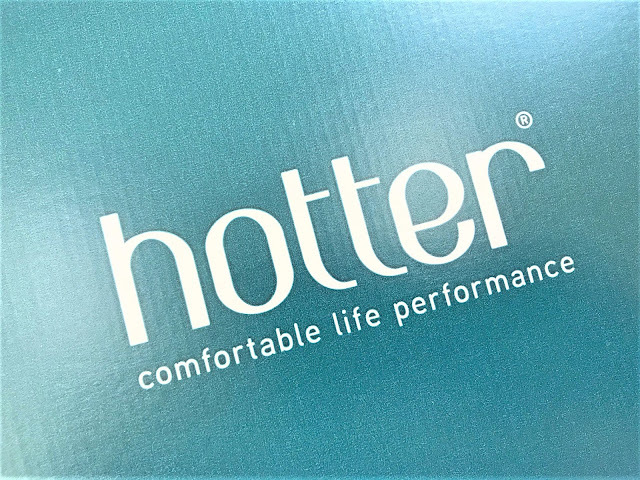 One of my favourite things about the Hotter Chase shoes is that they are so lightweight as well, they don't feel like you have a heavy sports shoe on and the padded insole is a dream after a long day of walking around. 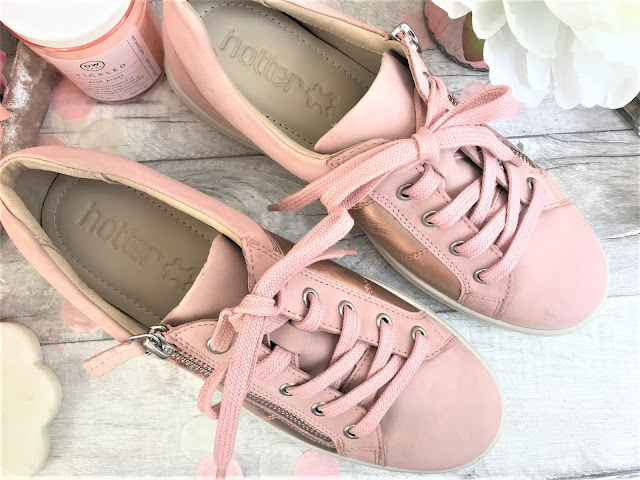 These are definitely the perfect Spring footwear and are available in sizes 3 to 9, including some half sizes too. The Hotter Chase shoes cost £79.00 and are available in-store and online at Hotter here.